Join us for the 2019 HoopSisters Embroidery Block of the Month this coming February. Looking for fabric, you can use your stash. If you need fabric, we offer 15% off all fabric, batting, & thread for this class. There are numerous color ways and if you have EQ8, we will provide SVG files for you so that you can design your own colors. 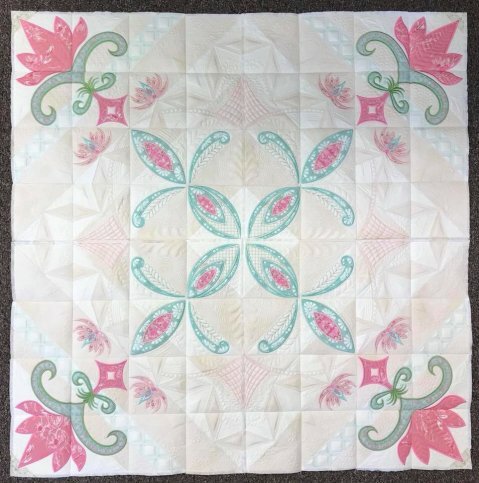 Below is another colorway that was shown at the Houston Quilt Market. Below you will find all the quilt details, supply lists and helpful suggestions on how to pick out fabric. HoopSisters embroidery quilt blocks always comes in multiple sizes. Choose from a 5” – 9” block size for finished sizes between 40″ x 40″ and 70″ x 70″. Add on the optional border to make it even bigger. 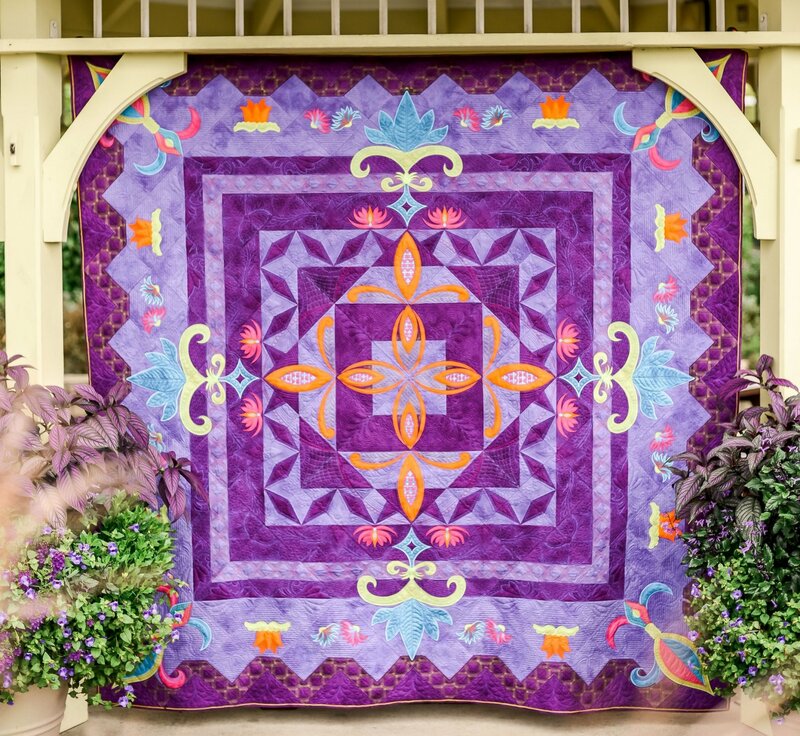 HoopSister quilts are divided into FIVE sections. Designs are given out at class each month. Bring your USB stick to class to receive each month’s designs and directions.